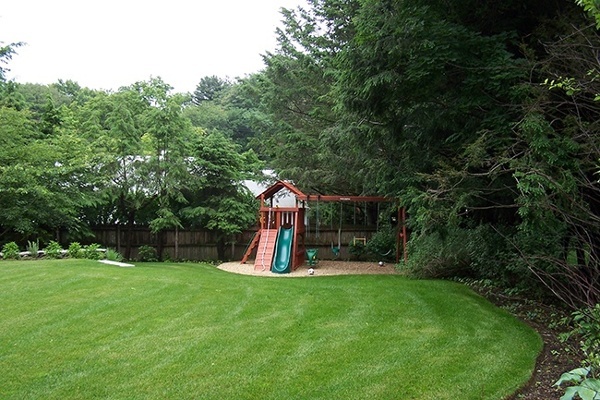 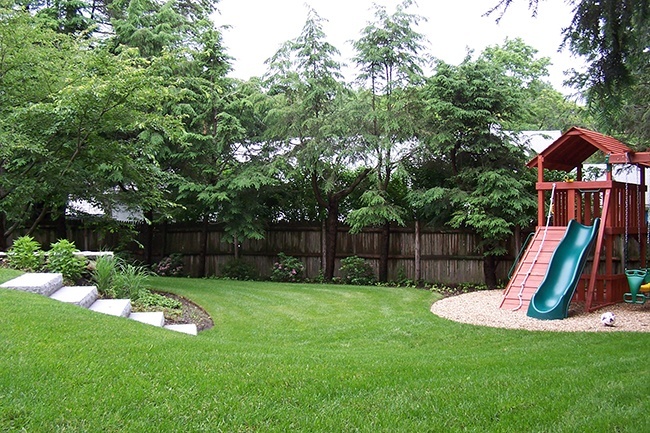 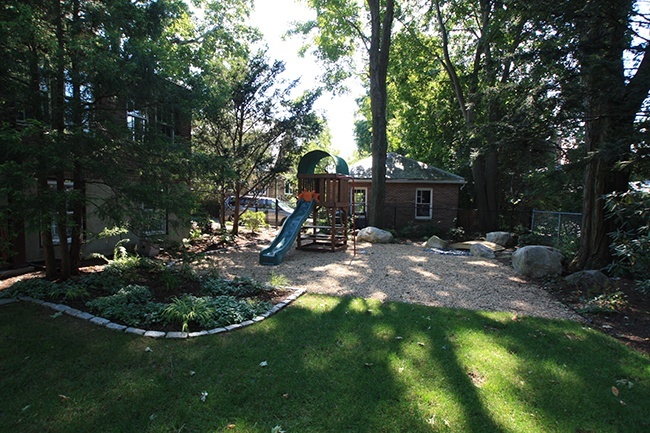 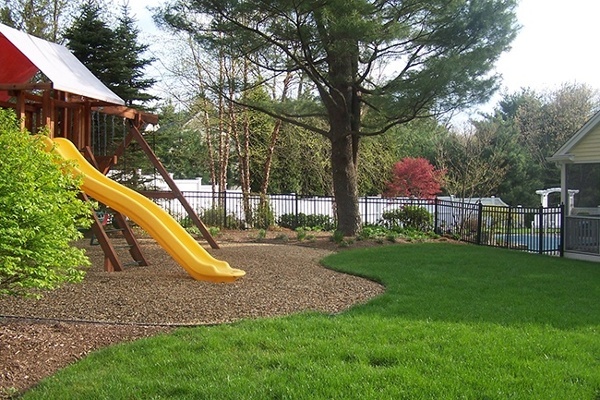 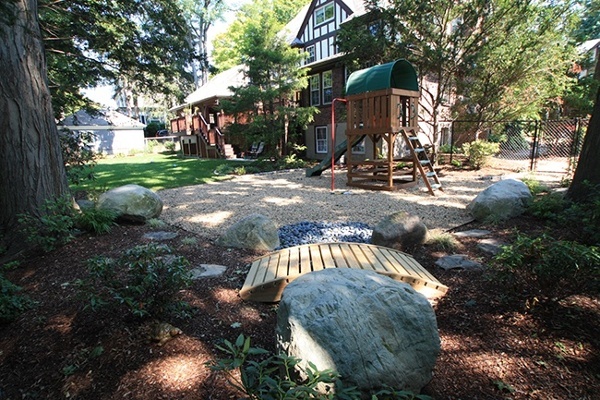 There is nothing more fun than a play set in the back yard…or is there? Traditional play spaces are thought to be swing sets, and while they are great fun, there is so much more for children to do outside. 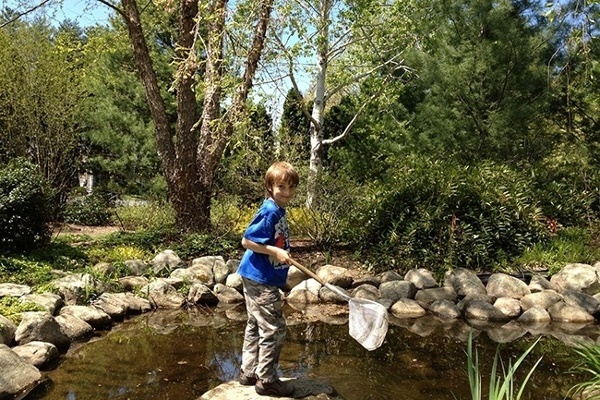 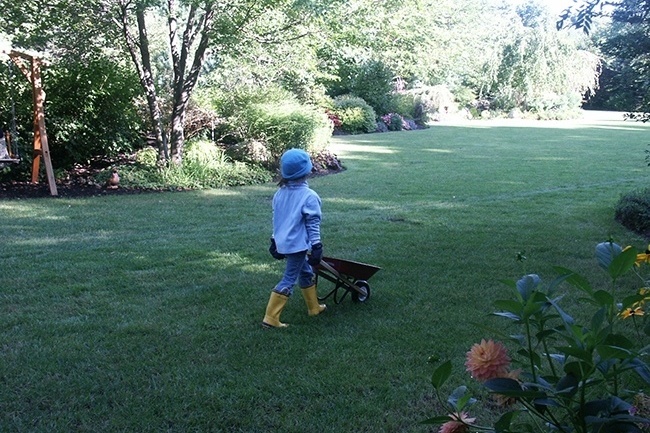 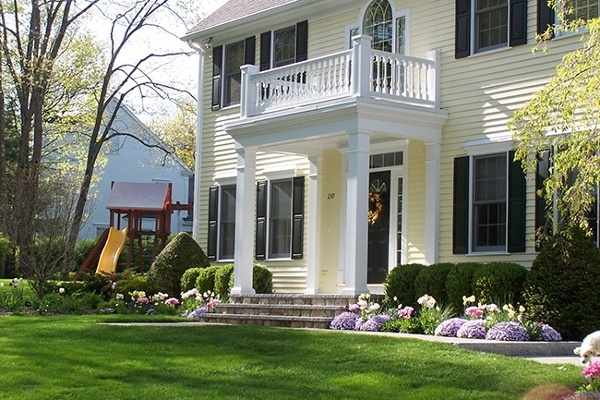 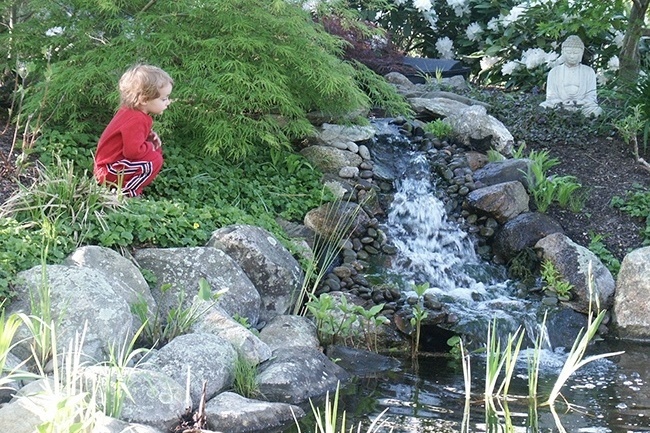 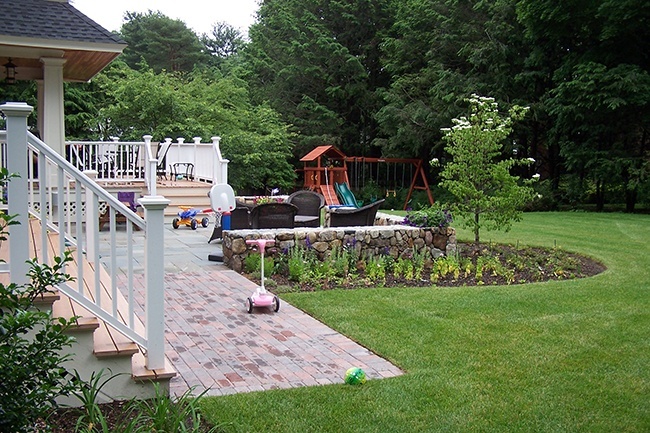 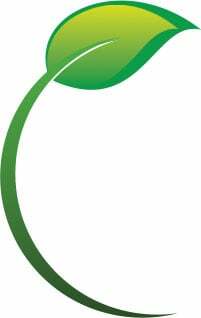 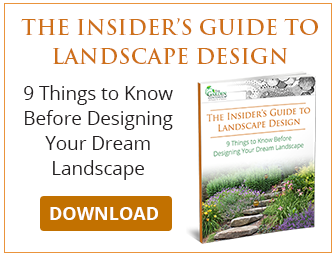 Providing healthy, chemical-free lawn space, areas to explore and climb, and invitations to nature in the form of ponds and edible gardens are all ways to get the kids out to play. 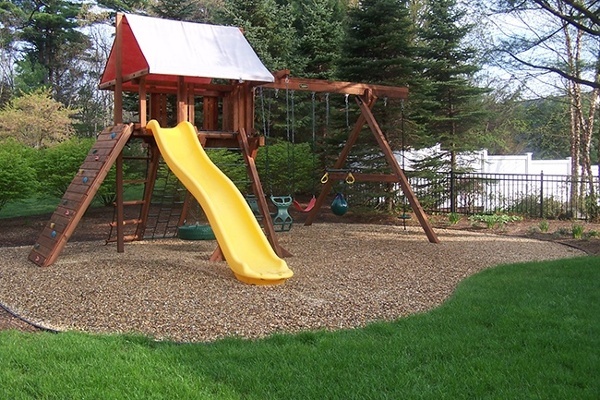 Here are some examples of traditional play sets installed on a safe, shock-absorbing surface of rounded pea-stone. 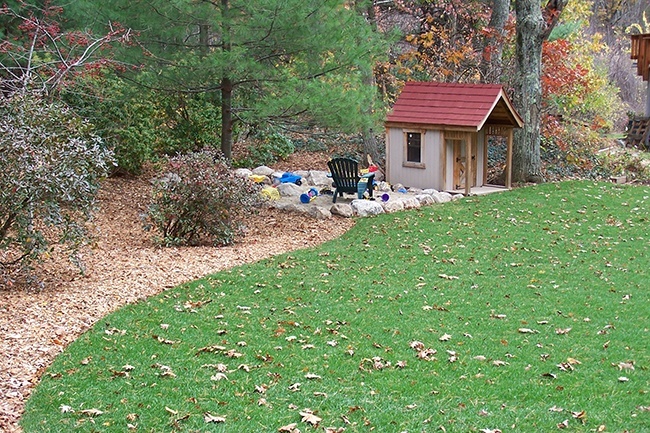 These spaces are dry and clean. 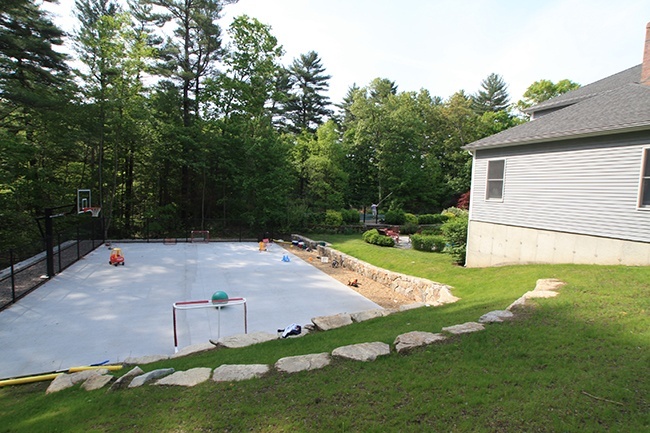 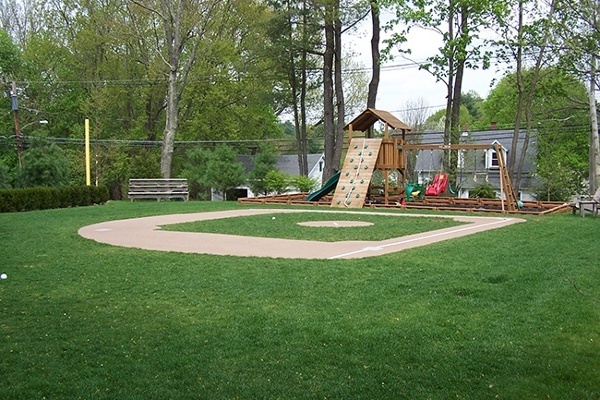 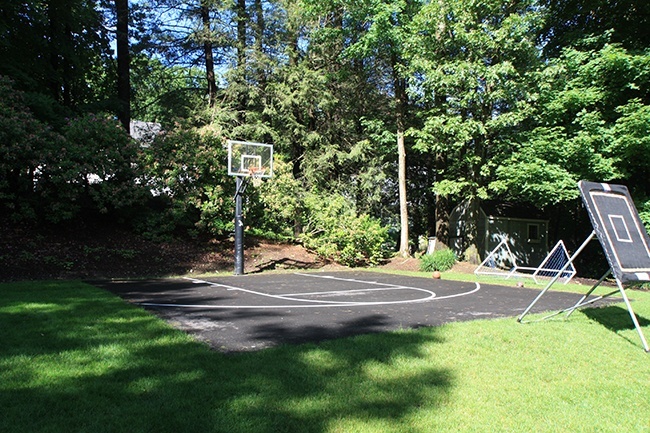 We have shared some examples of sport courts – small and huge - and our one and only mini Fenway Park from the Extreme Makeover Home Edition in Medfield. 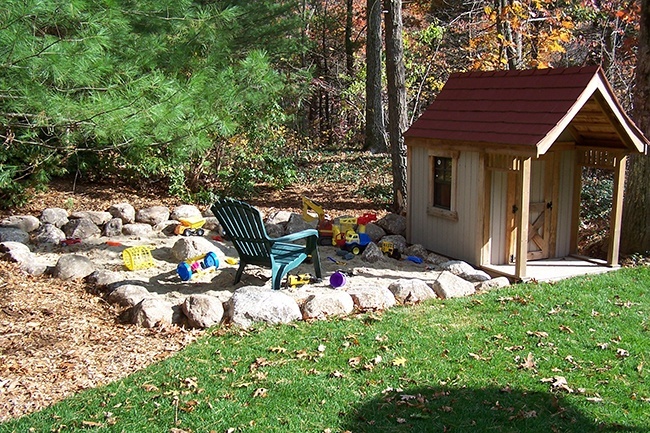 One thing to keep in mind with play spaces – they normally look like someone has been playing there (so not so neat). 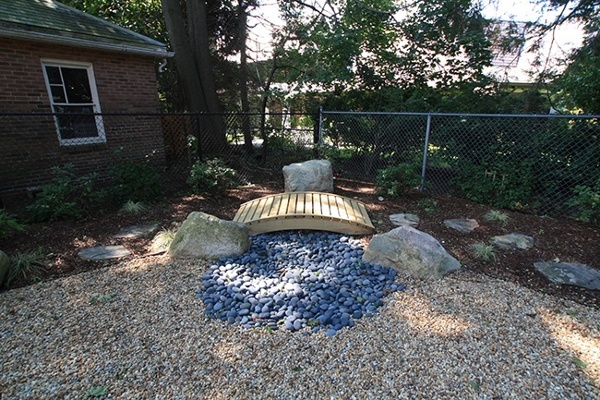 Also, enjoy these examples of a pond designed specifically for the children and pets to explore with fish, frogs and a waterfall!